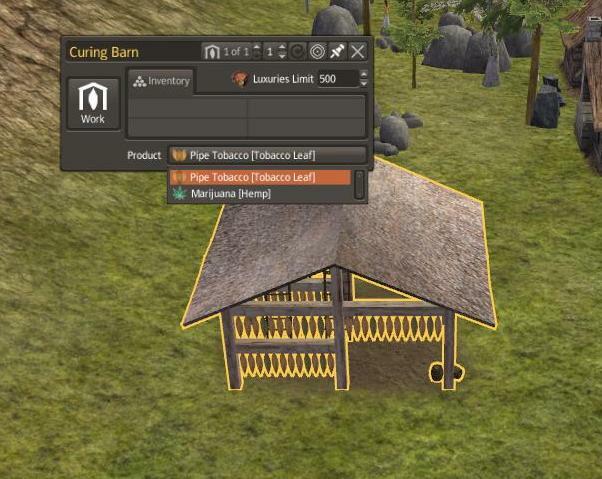 Allows you to cure Hemp at the Curing Barn to produce Marijuana. Marijuana is classified as a Luxury (or Alcohol for non-CC users) and will be stored in the same place as Ale and consumed for happiness, the same as Ale. Requires CC to work properly. Place above CC. *If you use this without CC, you won't be able to produce Marijuana yourself, but it will still arrive in trading boats.